Richmond, Va. (January 27, 2015) – The Elite Clubs National League is the top female youth soccer competition and development platform in the United States, consisting of 7 conferences across the country and 77 member clubs. ECNL conference competition is the heart of the ECNL, and the primary method by which teams qualify for the post-season ECNL Play-Offs every year. Conference games feature some of the most heated rivalries in youth soccer, and winning an ECNL Conference Championship is a matter of huge pride for every player and club. The ECNL Southwest Conference is centered in southern California, with top clubs from Arizona and Las Vegas also members of the conference. The strength of the conference is reflected in the 2013-2014 Overall Club Standings, where five Southwest Conference clubs featured in the top fifteen Member Clubs in the country based on final season standings. Reflecting the exceptionally tight races at each age group, last year four different clubs claimed conference championships, with only West Coast FC claiming more than one age group crown. More impressively, the conference sent at least 5 teams to the ECNL Champions League at every age group in 2013-14, and at least 2 times at every age group to the ECNL Finals in Richmond. Here is a brief look into each Member Club in the ECNL Southwest Conference. Arsenal FC: Arsenal Futbol Club consists of 85 teams with training locations out of Ontario, LaVerne, Yucaipa and San Diego. Arsenal FC has two championship trophies to their name winning both the 2010 (ECNL U16) and the 2012 (ECNL U14) ECNL National Finals. Eagles Soccer Club: The Camarillo Eagles Soccer Club was formed in 1978, adding the first girl teams in 1981. Eagles SC strives to provide an environment that allows players to develop and achieve their highest potential, seeing several players move on to play at the collegiate level. Heat FC: Heat FC is one of the largest competitive clubs in the state of Nevada. The club was founded in 2003 providing a full range of playing options for youth players, starting at recreational on up to the most competitive levels, finding much success in their short existence. Irvine Strikers FC: Irvine Strikers FC is one of the original ECNL Member Clubs. Over 350 players play on 22 teams on both the boys and girls side for the club, with many former players going on to participate at the collegiate and professional level. Las Vegas Premier SA: Las Vegas Premier Soccer Association was founded in 2013 with the merger of Las Vegas Premier Soccer Club (LVPSC) and Las Vegas Sports Academy (LVSA). LVPSC joined the ECNL in 2011, seeing over 40 players move on to play at the collegiate level. Real So Cal: Real So Cal has over 50 boys and girls teams and an additional 3,500 recreational players, making it one of the biggest clubs in southern California. The club has seen 171 players move on to play at the collegiate level over the past six years and continues to be one of the top clubs in the conference. San Diego Surf: San Diego Surf was founded in 1980, and has a strong history of producing National Team players at both the youth and full level. The Surf has one affiliate club in Murrieta Surf Soccer Club, and continues to be one of the best clubs in the league. SC Del Sol: SC Del Sol is a well-established club based in the North Phoenix/Scottsdale and Paradise Valley area. More than 800 male and female players participate within the club, making it one of the largest in Arizona. Sereno Soccer Club: Founded in 1979, Sereno Soccer Club is affiliated with Chelsea FC as an official Football Development partner. 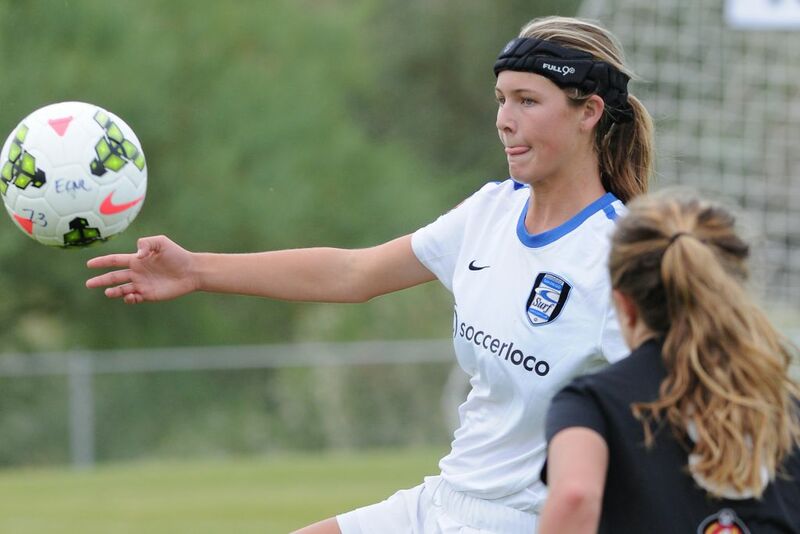 Sereno SC is one of the largest clubs in Arizona, sending players to compete at the collegiate level annually. Slammers FC: Slammers FC is headquartered out of Newport Beach. The club was born due to a strong influence from the 1994 World Cup and the passion of two brothers, Walid and Ziad Khoury. Slammer FC is one of the top member clubs in the league, and consistently sends teams to the ECNL National Finals, as well as producing players for the youth and full national teams. They were the only club to win an ECNL National Championship in the conference in 2012. So Cal Blues SC: So Cal Blues SC was founded in 1990, growing into one of the strongest clubs in the country. The club has grown over the years to include 22 teams and over 350 players, with multiple alums representing our country as members of the U.S. Women’s National Team. West Coast FC: Founded in 1997, West Coast FC has established itself as one of the most competitive clubs in southern California. More than 45 boys and girls teams compete within WCFC, with a mission to give every player the opportunity to develop at the highest level. To learn more about ECNL Conferences, visit www.eliteclubsnationlleague.com.